Last night, I stayed up to watch one of the rarities in modern day sports: a boxing match that did not cost $99.99. Manny Pacquaio vs. Jeff Horn. On ESPN. Live from Brisbane, Australia. “The Battle of Brisbane.” Manny Pacquaio – Filipino boxing star, politician, amateur basketball player. Jeff Horn – local Australian boxer, former substitute school teacher. The fight had all the makings of a “Rocky I”-esque finish – the superstar boxer defeats the upstart, though the upstart shows incredible heart and effort. Pacquaio inflicted serious damage to Horns face, while Horn headbutted Pacquaio enough to cause severe bleeding around the hairline. Sure, Horn had a few rounds where he was the aggressive fighter. But Manny Pacquaio caused enough damage that the referee almost stopped the fight in the 9th round. The 12th round ended in a flurry and the crowd applauded for an excellent show. I assumed that all 3 judges would have Pacquaio winning on their scorecards. So when all 3 judges had Horn as the winner, I was both stunned and not surprised. Stunned because Pacquaio objectively won the fight – landed way more punches and suffered far less damage due to legal punches. Not surprised because the fight took place in Horn’s hometown of Brisbane. And that is where boxing loses all credibility in the minds and hearts of sports fans. We appreciate the physicality of the sport. The brutality of the punches, the harshness of the training, the agony of defeat. But it’s everything outside of the ring – the promotion, the press conferences, the federations, the betting, and the judges – that make boxing tough to root for. There are multiple governing bodies with their own championships, making it tough to really be a universal champion in a given weight class. The press conferences and promotion tactics rival professional wrestling in their circus-like atmosphere. The judges who are typically regional. The betting lines can be significant enough to impact adverse behavior from boxers and promotion teams. 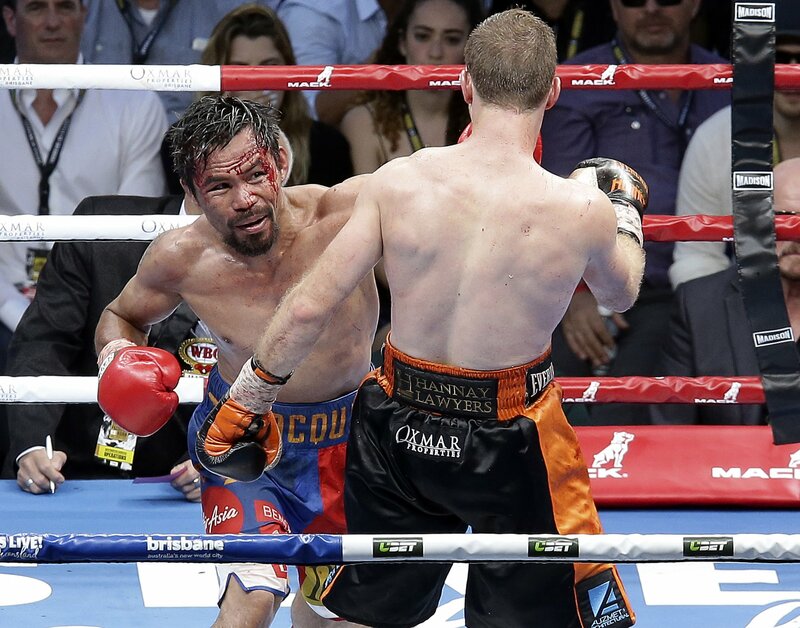 All of that to say this: Manny Pacquaio won the fight last night against Jeff Horn. He should have won it unanimously. But Pacquaio losing means several things: a guaranteed Pacquaio v. Horn 2, a new world champion in Horn, and more fighters wanting gauge the skills of both Pacquaio and Horn. In August, Floyd Mayweather will box MMA star Conor McGregor. This will snowball into an amazing promotional circus as the fight date draws near. Mayweather should easily win this fight because Mayweather is one of the best boxers ever. But keep in mind the reality that this is boxing: anything is possible!